The Cala D'or Gardens is set amongst beautiful gardens and terraces and is approximately 100mm from the beach. It is also within easy reach of the airport that is 65km away. The hotel has 296 rooms in total, which are tastefully furnished and decorated. 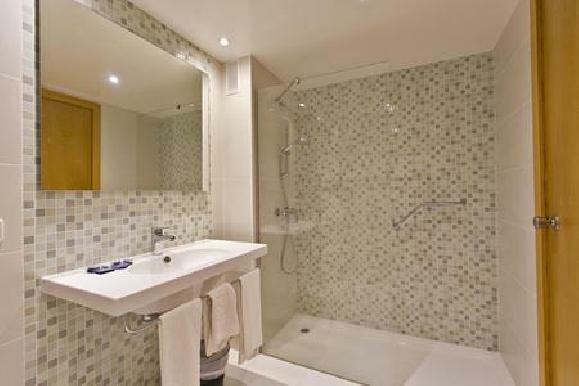 Each room is equipped with a private bathroom with a bath or shower, direct dial telephone and a terrace or balcony. The beach and shops are within a short stroll from the hotel. The hotel is approximately one hour by car from Palma and the airport. Swimming pool surrounded by sun terraces and sun beds. You can also find a mini market and currency exchange. Restaurant, vegetarian food available, lounges with bar service, swimming pool, garden, 24 hour reception, currency exchange, laundry, safety deposit box, lift to all floors, bar, cots. Two tennis courts, squash courts and paddle tennis, activities and entertainment organised daily.